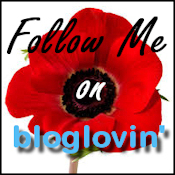 Those of you that have been reading my blog or know me know that I love cheese. I have a small problem, in fact, as I have not tried a cheese I don’t like. It is also my preferred snack of the day and comfort food. 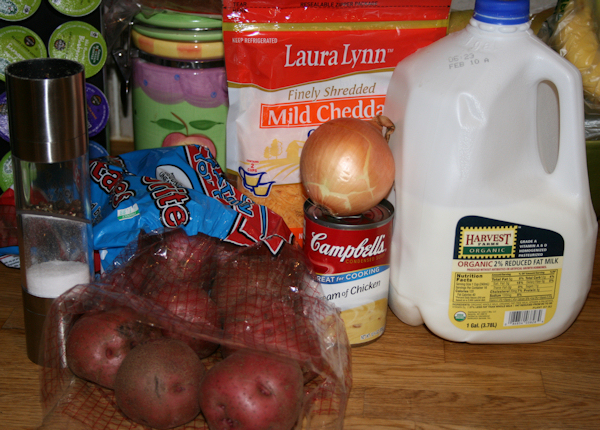 Hashbrown casserole, loaded baked potatoes, creamy mashed potatoes with garlic and cheese. I have made them all. 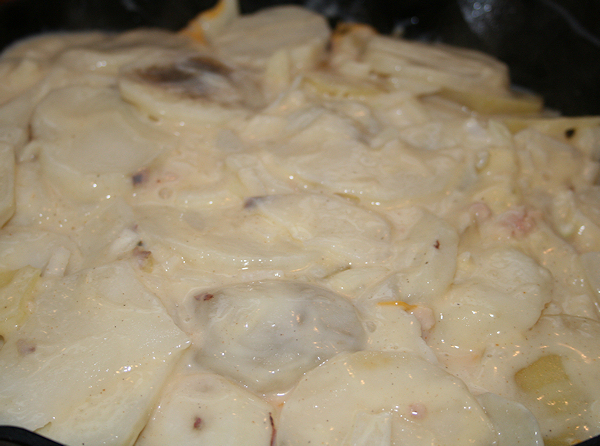 Well, tonight I was in the mood for scalloped potatoes. 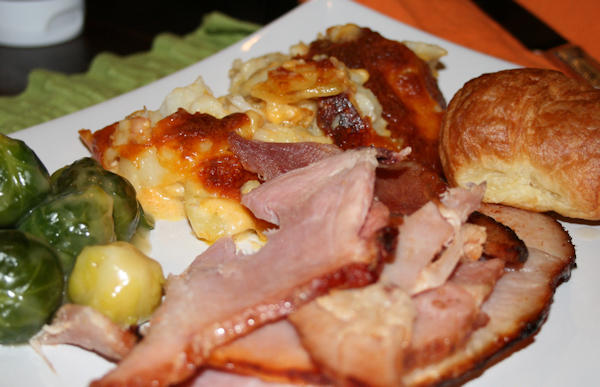 I make these whenever we have ham. The two together are heaven. 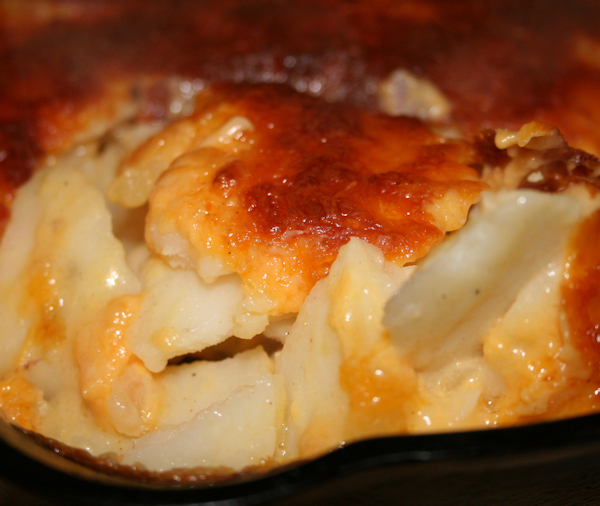 These scalloped potatoes are super easy to make and oh so decadent. 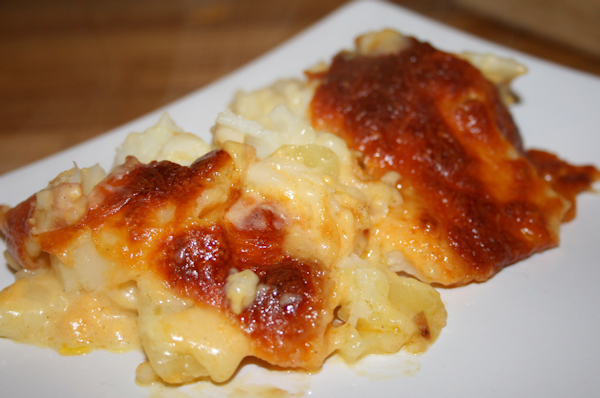 Creamy, cheesy and the prefect comfort food to compliment any meal, not just ham. 1 can of cream of chicken soup *I like cream of celery too! This recipe is so easy. 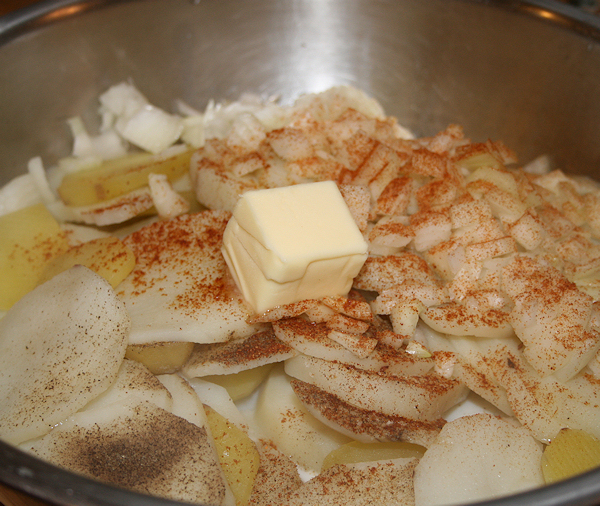 First bring to boil a large pot of salted water while cutting your potatoes and onions. 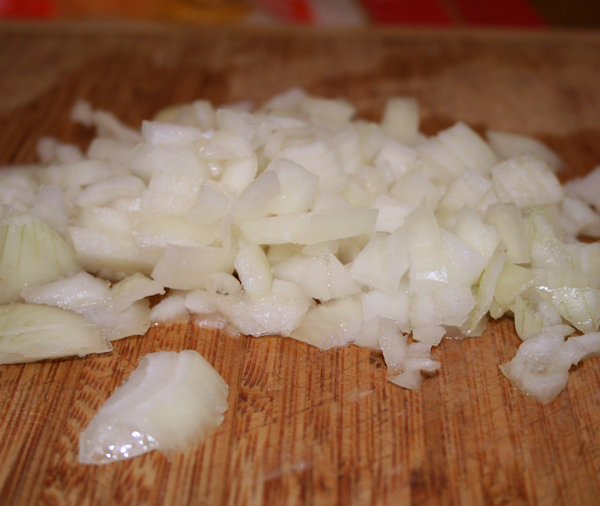 Dice your onions and set aside. 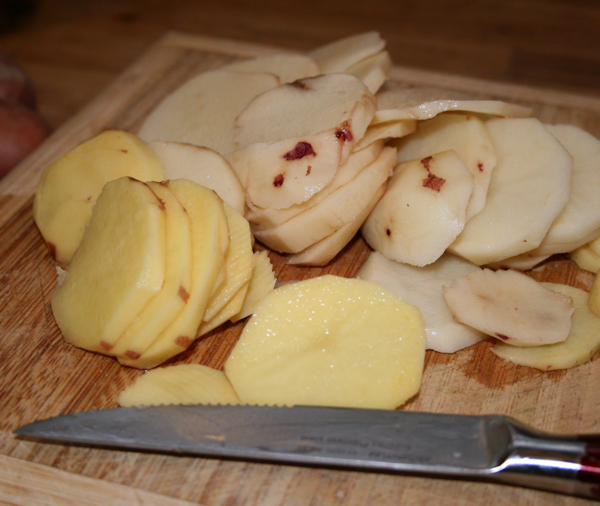 Peel your potatoes and cut into thin slices. About 1/4inch slices. 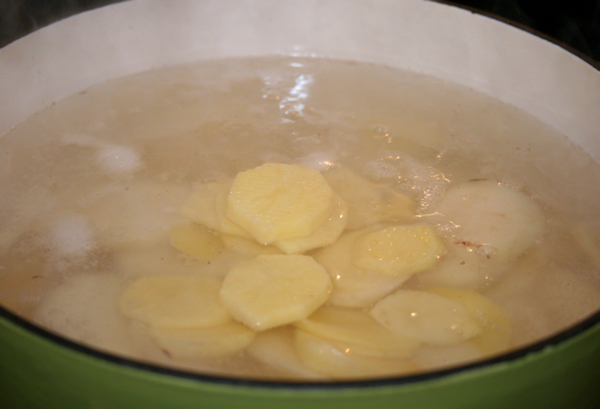 When the water boils, add the sliced potatoes into the boiling water and let them cook for about 5 to 7 minutes. 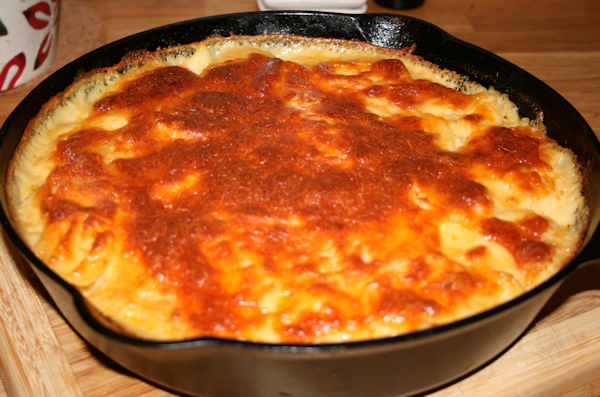 This will help them get nice and tender in your pan quickly. 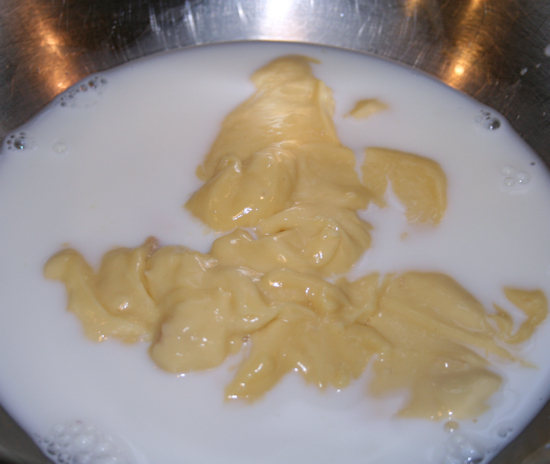 In a large mixing bowl, add the milk and soup. Whisk together to incorporate. 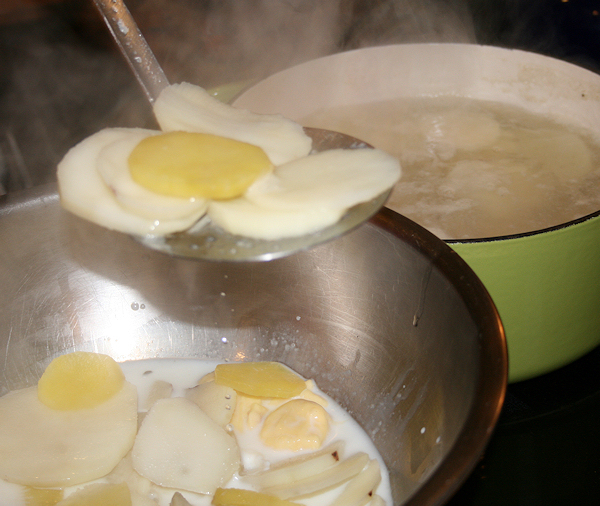 When your potatoes are ready, add them right into the bowl with the soup mixture. 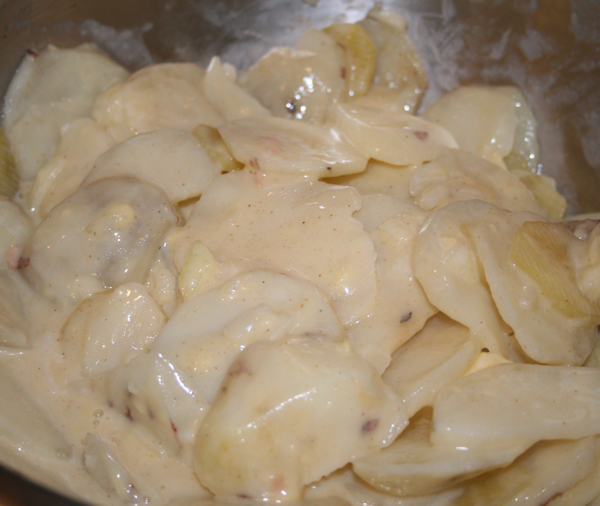 Add salt, pepper, paprika and butter then fold the ingredients together until everything is well blended. Spray your baking pan with a non stick spray. I used a 9 inch cast iron pan but any 9 inch or 9×11 pan will do. 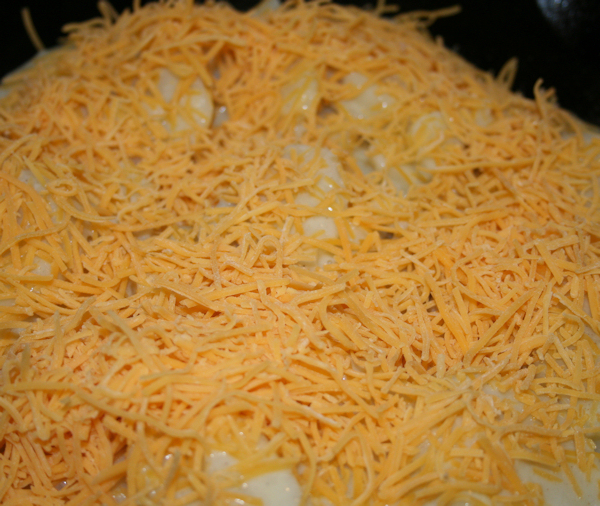 Pour in half of the potatoes and layer on half of the cheddar cheese. 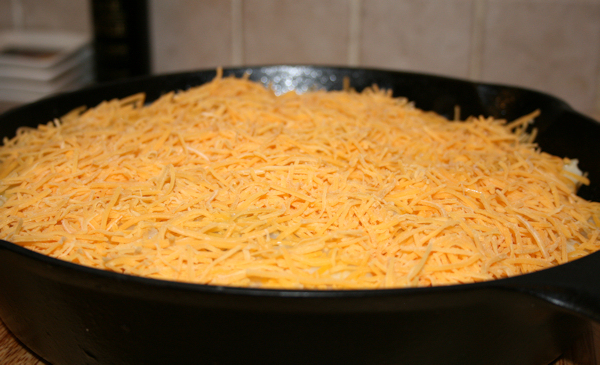 Cover the layer with the rest of the potatoes and then the last layer with cheese again. 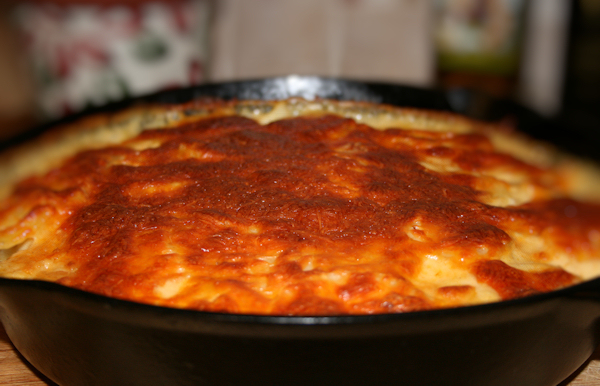 You will end up with a wonderful, bubbly, cheesy side dish of perfection! Oh my goodness, this was so delicious. Do yourself a favor and try this. Please do not write me and tell me of your addiction to this dish though, I already know all about it. Enjoy! They were! The best part was they were so simple. Let me know if you give them a try! I made them again for Easter I am never disappointed 🙂 Let me know how they go over!